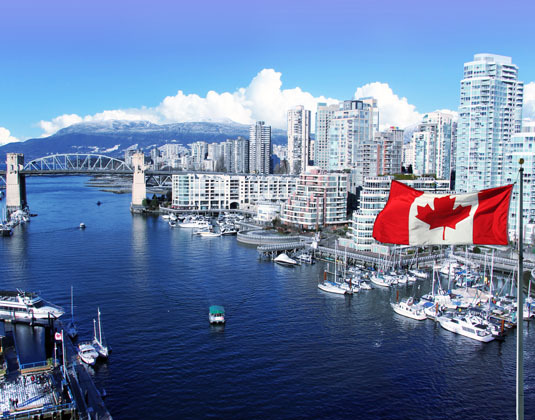 Day 1 Vancouver: Arrive in Vancouver and spend time exploring this scenic city on your own. Overnight in Vancouver. Day 2 Vancouver/Kamloops: Board the Rocky Mountaineer train at the Vancouver Station at 7:30am PT. Travel from the coastal city of Vancouver to Kamloops, in the heart of British Columbia’s interior. On today’s journey you will see dramatic changes in scenery, from the lush green fields of the Fraser Valley, through forests and winding river canyons surrounded by the peaks of the Coast and Cascade Mountains, to the desert-like environment of the BC Interior. Highlights include the rushing waters of Hell’s Gate in the Fraser Canyon and the steep slopes and rock sheds along the Thompson River. Breakfast & lunch included onboard. 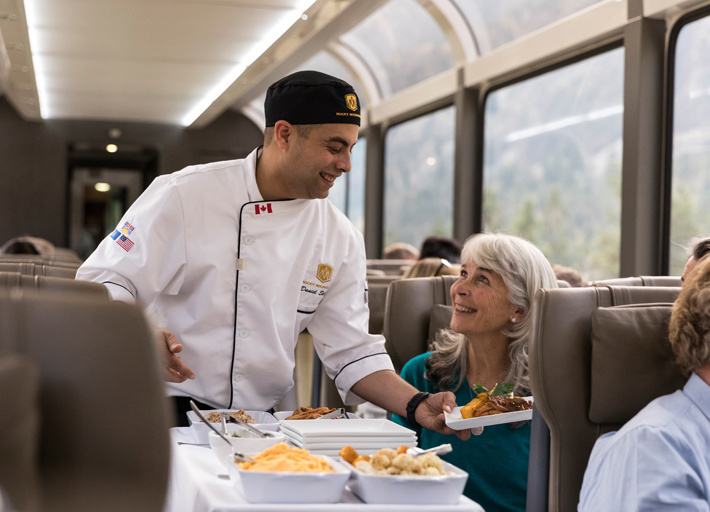 Your day concludes as the Rocky Mountaineer travels along the shores of Kamloops Lake into Kamloops between 6:00pm and 7:30pm PT. Spend the evening exploring the city of Kamloops or relaxing in your hotel room. 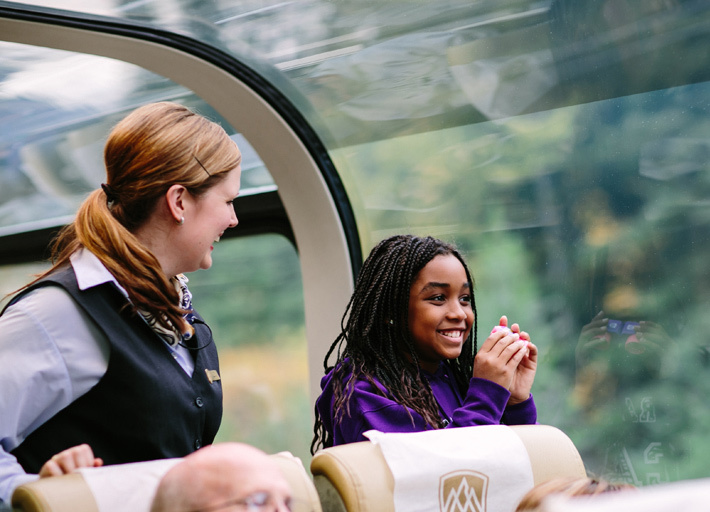 Day 3 Kamploops/Lake Louise: Board the Rocky Mountaineer train at the Kamloops Station at 6:25am PT, to continue your journey east to the mighty Canadian Rockies and the province of Alberta. Travel across ranchlands, along rocky lakeshores, over high mountain passes and through the remarkable tunnels that form part of the rich rail history of the Canadian Rockies. Highlights include Craigellachie, where the last spike of the Canadian Pacific Railway was driven, the climb over Rogers Pass, the Kicking Horse Canyon, the Spiral Tunnels and, the glaciers and snow-capped peaks of the Canadian Rockies. Your rail journey ends upon arrival in Lake Louise between 7:00pm and 8:30pm MT. 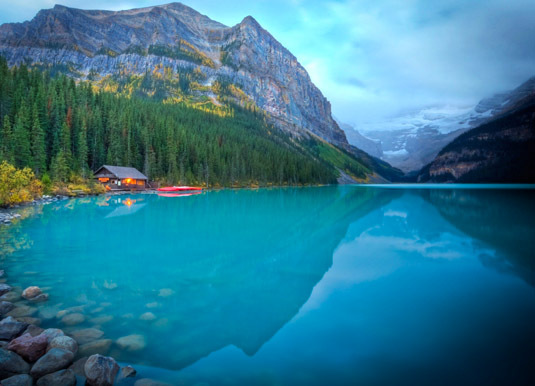 Day 4 Lake Louise: Today, enjoy a full-day tour along one of the most scenic highways in the world as you travel to Jasper National Park on the Icefields Parkway. The Columbia Icefield is one of the largest accumulations of ice south of the Arctic Circle and one of the most accessible icefields in North America. 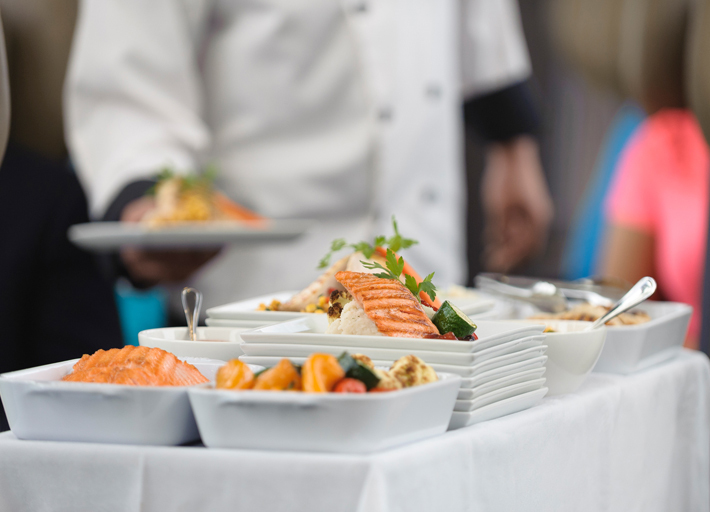 At the Columbia Icefield Centre, time is provided for lunch (not included) after you have had a chance to experience the Columbia Icefield Glacier Adventure (admission included). Here you will ride on an Ice Explorer to the middle of the Athabasca Glacier to learn more about its geological features. Afterward, brief stops will be made at Bow and Peyto Lakes before arriving back in Lake Louise this afternoon. Overnight in Lake Louise. Day 5 Lake Louise/Banff: This morning you are free to explore beautiful Lake Louise on your own. 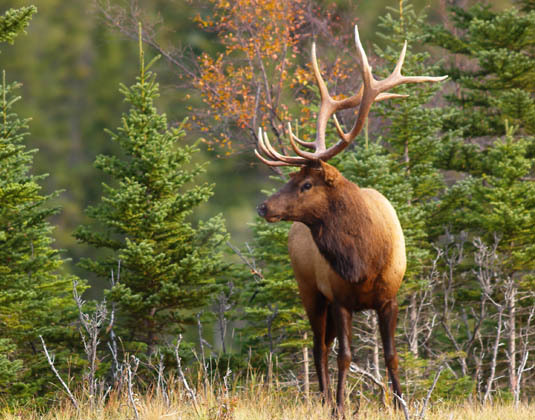 After lunch, a half-day tour takes you into Yoho National Park to view some of its natural wonders. Among the attractions are the Spiral Tunnels, Emerald Lake and a natural rock bridge that spans the Kicking Horse River. At the end of the tour you will be transferred to Banff. Overnight in Banff. Day 6 Banff: Today you will have an entire day to spend exploring Banff National Park on your own. 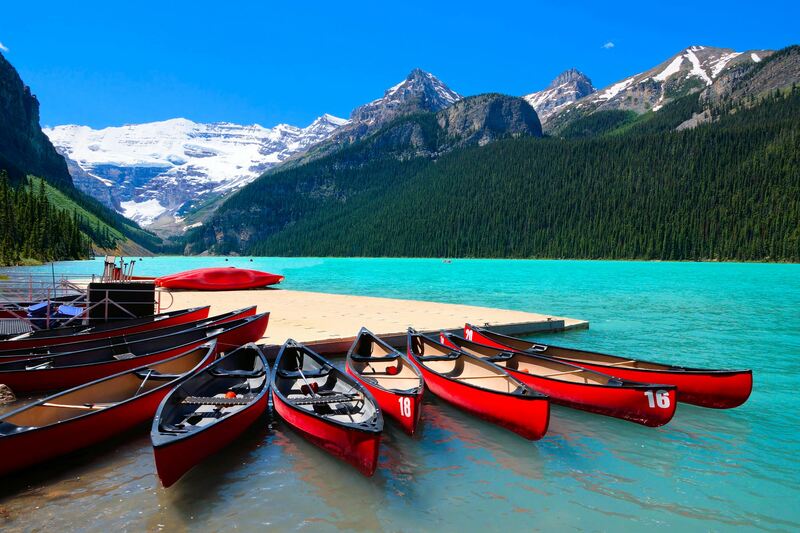 Optional activities include soaking in the mineral pools at Upper Hot Springs, enjoying a nature walk on nearby mountain trails, visiting Banff’s historic museums, cruising on Lake Minnewanka or playing a round of golf at The Fairmont Banff Springs. Overnight in Banff. Day 7 Banff/Calgary: Begin the morning with a motorcoach sightseeing tour of Banff. Among the points of interest are Bow Falls, Lake Minnewanka, Surprise Corner, and the Hoodoos. 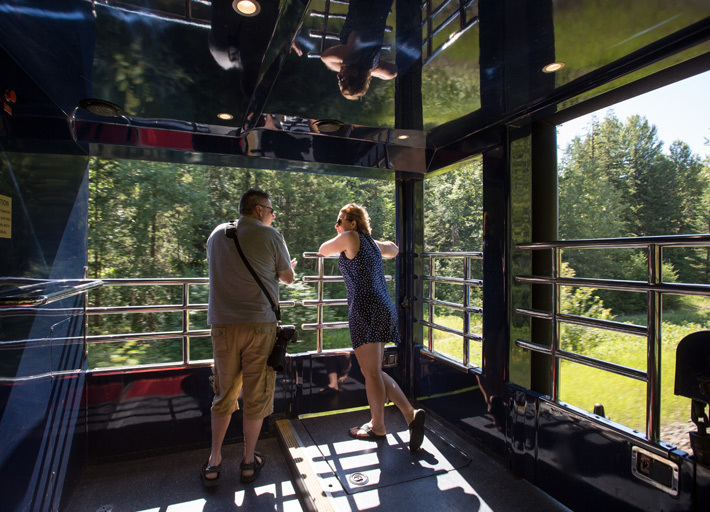 A trip on the Banff Gondola is included. Continue on to Kananaskis for a 12 minute Panoramic Helicopter Tour over the remarkable landscape of the Rockies before you transfer to Calgary. 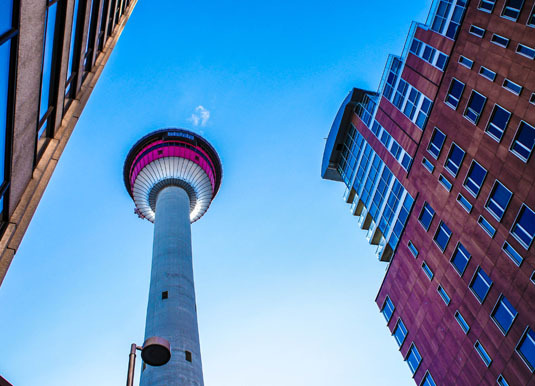 Enjoy admission to the Calgary Tower. 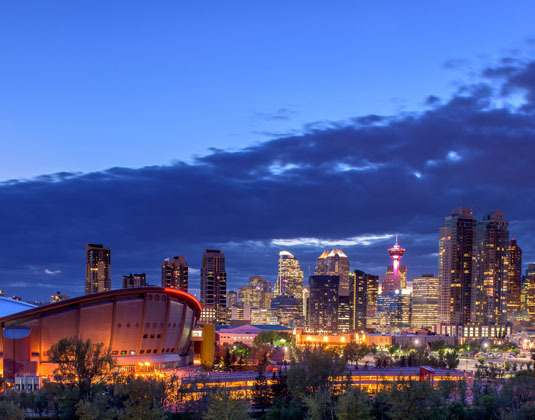 Overnight in Calgary. Day 8 Calgary: Your vacation ends upon checkout from your Calgary hotel.